A Newsweek article points to a systematic review (a study of studies) finding that doctors perform cesareans in the belief that it will protect them from being sued, but that isn’t the half of what the review found. The review revealed host of other non-medical factors as well. Let’s take a look. The reviewers searched the obstetric literature for studies reporting the views of obstetricians and midwives regarding factors influencing the decision to perform first or repeat cesareans. They included 34 studies published between 1992 and 2016 that ascertained the views of 7800 obstetricians and 1200 midwives in 20 countries. Reviewers then analyzed the studies for common themes, finding three interrelated key themes: “clinicians’ personal beliefs,” “health care systems,” and “clinicians’ characteristics.” Each of these top-level themes broke down into subthemes as described below. Personal beliefs further subdivided into “professional philosophies,” “beliefs in women’s request for cesarean,” and “ambiguous versus clear clinical reasons.” “Professional philosophies” related to clinician perception of the risks vs. benefits and safety of cesarean vs. vaginal birth and repeat cesarean vs. planned VBAC. “Beliefs in women’s request for cesarean” endorsed maternal request cesarean for reasons such as clinician perception of the woman’s fear of labor, her lack of being prepared for labor, the country’s culture and the woman’s social status within that culture, and media influence on women’s attitudes toward cesarean. “Ambiguous versus clear clinical reasons” referred to a long list of situations in which providers would differ on the necessity of cesarean. Health care systems broke down into “litigation,” “resources,” “private versus public/insurance/payments,” and “guidelines and management policy.” As the Newsweek article noted, fear of malpractice suits was the most common factor influencing the decision to perform a cesarean. Insufficient resources, which included insufficient staff to properly monitor laboring women, lack of immediate availability of staff for urgent cesarean, and lack of enough labor rooms or operating rooms, also influenced cesarean decision making as did health care coverage by creating financial incentives favoring cesarean for both providers and hospitals. In addition, restrictive hospital guidelines and policies played a role, as, for example, by forbidding VBAC or having overly rigid VBAC management policies or by imposing over-medicalized protocols, and conversely, so did lack of restrictions, as, for example, having loose criteria for induction of labor. Clinicians’ characteristics included the subthemes “personal convenience,” “clinicians’ demographics,” and “confidence and skills.” Personal convenience had to do with the demands vaginal birth makes on clinician time compared with cesarean surgery, especially the need to be onsite for VBAC labors. Demographics included the age of the obstetrician, with some studies finding that cesarean rates rose with age and others that they fell, and gender, with studies finding that men were more likely to perform cesareans than women. Finally, lack of confidence and skills to manage vaginal birth, fear of complications, lacking competency in performing instrumental vaginal deliveries, and midwives’ confidence and skills in promoting vaginal birth all impacted likelihood of cesarean. 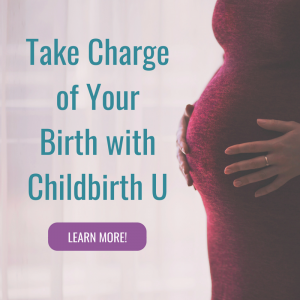 The review makes clear that the likelihood of having a cesarean depends largely on factors having little or nothing to do with a woman’s characteristics or those of her baby or the degree of danger incurred by continuing labor. Given this, you would be wise to seek out a care provider with a defensible cesarean rate. That would be an overall rate in the 10% to 15% range.